Badges & Boots Worldwide was officially started in 2009 in Ecuador when we were Missionaries in that country. Yet it was unofficially started in 2008 while we were in Costa Rica. In 2008 in Costa Rica I became friends with a Special Operations Police Officer. I bought him a pair of hinged handcuffs and a collapsible baton from the United States. Through this friendship and encouragement 12 other Special Operators eventually received Christ as their Savior. In 2009 my wife and I began looking for National Police and Soldiers to minister to. These men could not believe that someone really cared for them. We had specially made Gospel tracts for that country and passed them out. Eventually a National Pastor and some of the people in our Church got brave enough to start passing out these tracts. We saw some National Police and Soldiers get saved. 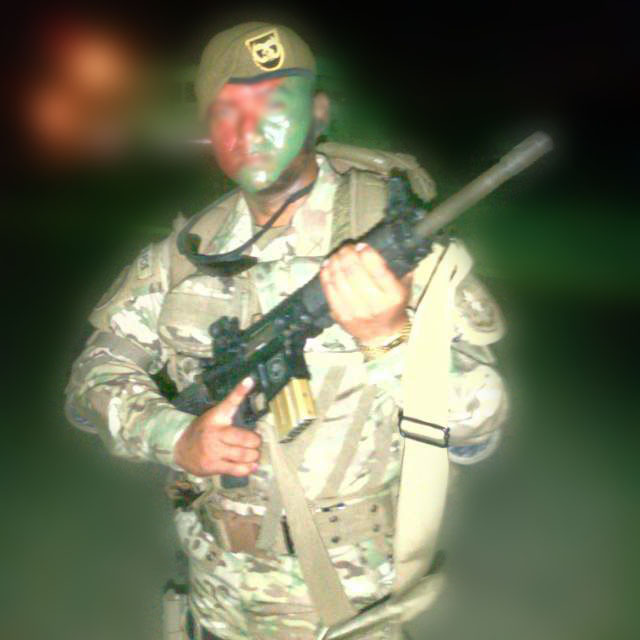 The Special Operator in the picture (his face is blurred for security reasons) above comes from a Central American country that one of our Badges & Boots Field Rep. works in as a Missionary. This Special Operator and his family attends Church at the Missionaries Church. We seem to grab the attention of Special Operators in foreign countries. The reason we started Badges & Boots Worldwide was to help Military, Law Enforcement and other First Responders around the world and to share the Gospel with them and their families. We have several Field Reps that work in foreign countries that are doing missions work. We have a couple of men that help here in the States preaching in National Guard units. My wife and another lady help out with promoting Badges & Boots Worldwide. We also have a couple of young preacher boys that help us in the Gospel tract ministry. Praise the Lord for your ministry. May God continue to use you and your family!